With important policy implementations recently being made by China’s State Administration of Taxation regarding China VAT general invoices, we felt it would be appropriate to offer a Chinese fapio (发票) refresher post — or more accurately, provide a few links to posts explaining the fapio system. 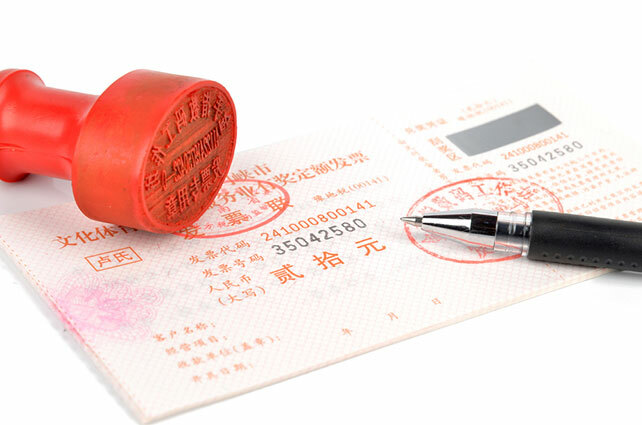 The Chinese fapio is a legal receipt that serves as proof of purchase for goods and services on the Chinese mainland. The fapio is an essential component of Chinese life for both individuals and businesses. To learn more, read on. Not the most elegant piece of writing, but here Guide in China, a Hong Kong-based website that helps match expatriates with Chinese companies, provides a rudimentary overview of the Chinese fapio system, complete with pictures (What’s a Chinese Fapio and Why It Affects Work Permits). Going more in-depth is the FCPA Blog, a news and commentary site about white-collar crime, enforcement and compliance. FCPA’s four-part series, Unlocking the Mystery of China Compliance: Fapios, explains (1) what a fapiao is; (2) the different types of fapiaos and receipts in China; (3) how fapiaos can be misused for fraud, embezzlement and corruption; and (4) ways to counter these schemes to minimize compliance risk. For businesses, the mishandling of a company’s fapiao can cause serious problems. To minimise liabilities and ensure compliance, many businesspeople consult with professional advisors to understand best fapiao practices for their company and industry. Post by David Pandt, Horizons China communications manager and editor of The Square. If you would like more information about Chinese ‘fapio’ and taxation or other corporate advisory related items, email us at talktous@horizons-advisory.com, and we’ll have a Horizons professional contact you.